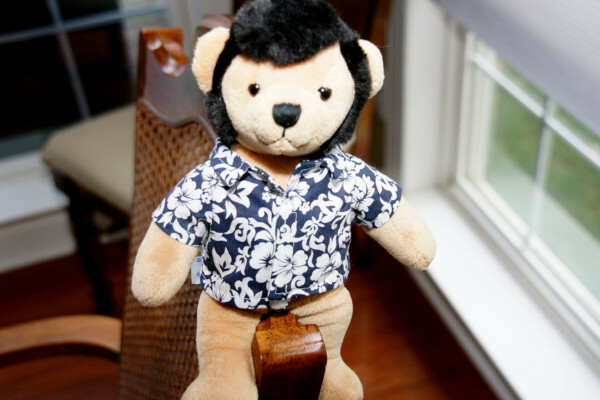 This is Elvis Bear (note the cool sideburns). He doesn’t have a lot to worry about in his finances because he basically hangs out on my credenza. However, those of us who are human have responsibilities when it comes to finances. One of our responsibilities as managers of God’s resources is to have (and stick to) a spending plan. Let me share with you five benefits of having a spending plan (budget), whether the plan is for yourself or an organization. Provision. Proverbs 27:23-27 talks about knowing the condition of our flocks and herds and how managing those well will sustain us later. While most us do not have cattle and sheep, we do have those things that have been entrusted to us. Having a plan to set aside something for emergencies, or for future events (retirement, weddings, college, etc. ), while not guaranteeing a secure future, will help sustain us. Focus. What are the areas of managing resources you think are important? Setting up a plan allows for priority allocation after we’ve determined our needs and wants. Most of us (me included) don’t spend enough time thinking about the priori- ties – instead, we allow the whims of life to dictate what we spend money on and as a result, often get into trouble. Peace of Mind. When we set up a plan, we need to commit it to the Lord. Proverbs 16:3 tells us to: “Commit to the Lord whatever you do, and he will establish your plans (NASB) “. We can then rest in him to guide our way – even though we may not understand exactly what He is doing, we can have peace that He is working to accomplish His purpose. Flexibility. Many people think that a spending plan is cast in stone (not unlike the Ten Commandments!). Nothing could be further from the truth. A good plan will provide for some flexibility and discretion. We can’t anticipate every spending decision that must be made – some things are simply out of our control. When those happen, then a spending plan will need to be adjusted accordingly. If you aren’t on a spending plan, then don’t just sit there like an Elvis Bear! I want to encourage you to begin setting up a plan. If you need help in getting started, then there are several online resources available, such as Compass-Finances God’s Way, Crown Financial, Connect Financial Ministries, Dave Ramsey and others. Your local church may also have people trained as budget coaches who can help.